A couple of weeks ago i was asked if i could find an Aztec inspired phone cover on eBay (#11) and during the search i came across hundreds of various designs, it was like opening a whole new design world! If you're like me, you love a good phone case, in fact, tackier the better! My trusty VIP one is still on my phone a year later and still has pride of place! Even though i don't have any desire to change my case, i can't help but fall in love with these ones above. This post was meant to be me showing you just 4, then it turned to 8 and finally i thought i better stop at 12. There are literally SO many to choose from and of course it wouldn't be an eBay post without a designer inspired one now would it? Do you have a tacky phone case? Which of the above is your favourite? *I know not everyone has an iPhone, a lot of these sellers have them for other models and makes too. That bourbon biscuit one is amazing!! I've got a purple gameboy design on mine, but have got a personalised one of the dogs that I change to sometimes. The 4th one is just genius! Number 4 & 9 are so cute! Great post! These are gorgeous, pity the bourbon one doesn't come in the 3GS. i know! they're so neat! i love number one of what you chose. have you had a look at the kate spade covers? i love those but unfortunately i have the iphone 3gs and they won't fit into those cases!! I love your phone case finds! Liking the owl and the drippy ice cream looking one! will get the chanel one next time! I love the first one! I've been looking for one with cute little ears! have a look at society 6's cases, i've got one from the designer Amy Sia and it's beautiful!! aha I love this post, weird I found some last night as I'm on the hunt for my perfect case. My HTC only came out at Easter, the covers are all so boring! The bourbon biscuit has to be my fav! Have you seen the 1.99 diamante ones in H&M? They are quite good. Getting a bit bored of the old iphone now tho so may switch it up with a galaxy S3! I love that strawberry one. Very cute. I really need the Bourbon one! I bought an owl shaped one and a gameboy one yesterday but I swear I'm going to end up with a collection because there are just so many I love right now! I would dream but having anything else but a tacky phone case, I love them! 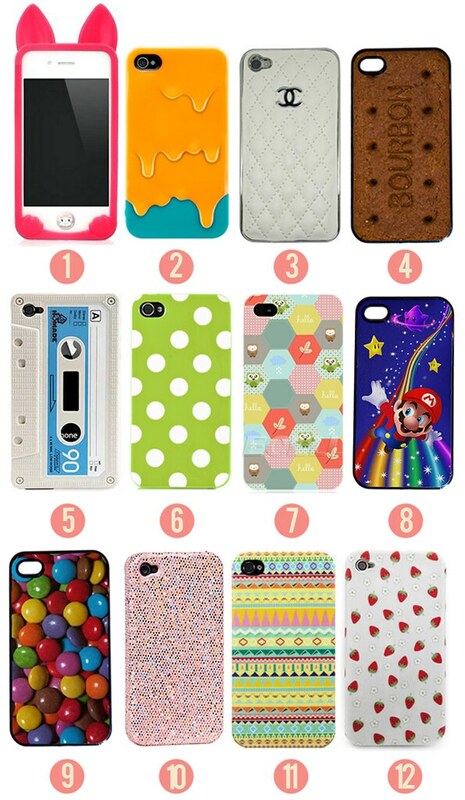 These are all brill, definitely going to treat my phone to a new case now! 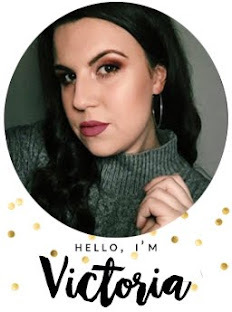 I'm actually having a giveaway just to celebrate the opening of my own blog! I have a skull covered phone case for my BlackBerry. I'm thinking of getting a gold glitter one and a leopard one before I die. Wow! awesome collection. But the second one is the best.. have just purchased my first iphone...4S. So smooth everything comes together so easily, apps wise. I love how solid and weighty it﻿ is, although I could see if you dropped it, it would pretty much shatter. Other thing is I don't have big fingers but why do I keep hitting the wrong character. I am glad I held out on the iphone because now I just know what everyone has been going on about. Was considering Samsung gal 3 but to big and quite plasticy. Iphone is so solid. Hello, I like no. 12... how much it price? is there any shipping cost? Number 3 is quite decent phone case, Love to get this as son as possible.